Vanishing Twin Syndrome is when one fetus out of a set of twins or multiple fetuses disappears in the uterus during pregnancy, which is a miscarriage of the fetus. 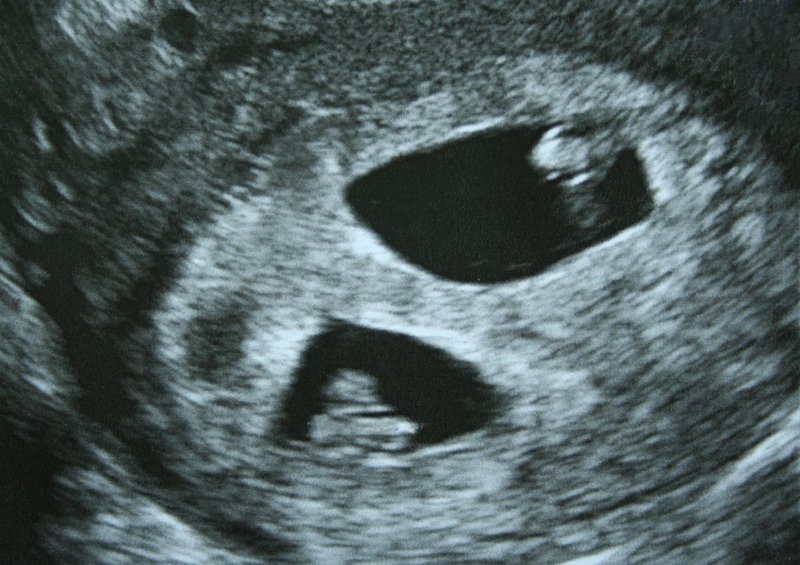 The tissue from the fetus then may be absorbed by the twin left surviving or by the mother, hence the appearance of a twin that has "vanished". How is this syndrome identified? It's diagnosed by use of ultrasound technology. 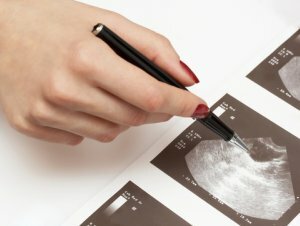 Pregnant women will usually have an ultrasound at week six or seven of gestation to verify the pregnancy. The doctor is able to distinguish the number of fetuses within the womb. Two, and the woman is having twins. On the next visit, the doctor may not find both heartbeats or sacs, which indicates one of the fetuses is no longer present. Sometimes miscarriage symptoms may be identified (i.e. bleeding), yet there is still another baby in the uterus. 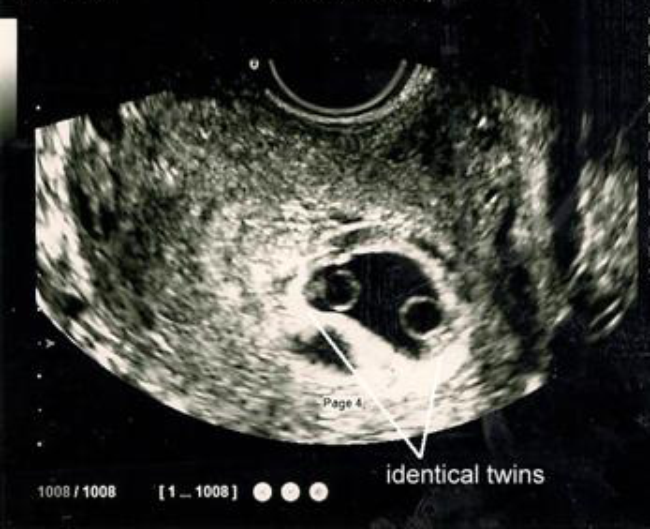 A subsequent ultrasound will show that one twin has disappeared while the other one is now viable singleton fetus. 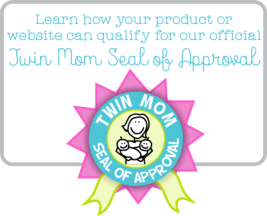 "71 percent of twin gestations diagnosed before 10 weeks were singletons when delivered." In-vitro fertilization (IVF) techniques have helped to improve the understanding of this phenomenon. During in-vitro fertilization progression of the pregnancy is monitored and the number of implanted eggs in known. If one of the eggs is "lost", the remaining eggs and pregnancy can be observed and monitored closely. Therefore the recorded statistics and data are helpful to scientists. The definitive cause of a vanishing or disappearing twin is currently unknown, though more studies are being done on this. One recent study in the Journal of Assisted Reproduction and Genetics looks at how genetics may play a role in Vanishing Twin Syndrome. Early in the pregnancy abnormalities can be revealed, such as chromosomal defects, while the surviving twin is usually normal. Another cause may be an improper implantation. Early signs include cramping, bleeding, and pelvic pain. Statistics show that this happens more in woman over thirty whom are pregnant with twins or multiples. 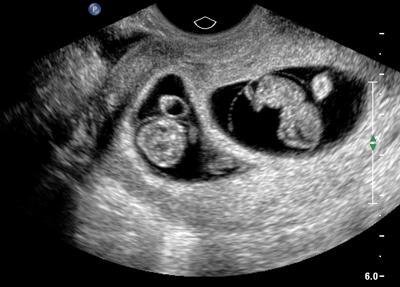 If the loss happens in the first trimester, the prognosis of the surviving twin is very good, but it depends on the factors that caused the death of the other twin. When a twin dies within the first trimester, the amniotic fluid and the tissue from the placenta may be reabsorbed, which can result in the flattening of the surviving twin. This can affect the surviving twin at delivery. It may be quite noticeable that the compression is visibly noticeable. If the twin dies in the second or third trimester, there are risks to the surviving twin, such as cerebral palsy or a late miscarriage. At this stage the pregnancy most likely will be considered extremely high-risk. After analyzing more and more data, scientists have concluded that the number of twin conceptions outnumbers the number of actual twin births. 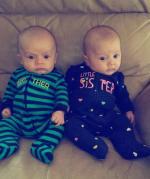 This mean that many people actually start out in life as a twin, but only one fetus thrives. Studies vary as far as percentages. Some studies believe that it happens in up to 30% of all multiple pregnancies in the United States. Physically, there usually are not any issues with the mother. However, emotionally there are scars. It is important to acknowledge the loss of the one child. In some cases, it is good to seek counseling in order to express your feelings in a more open manner. Overall, there are many questions with few answers to why Vanishing Twin Syndrome happens. There is currently not a preventative measure to this process, but maybe with more research, more fetuses can be saved.